Not only is glitter making a comeback in the world of beauty, but it seems that shimmer and shine are here to stay as well! And with an extra 15% off your beauty purchase during the Macy’s VIP Sale, why not try adding some sparkle to your morning routine? MAC Pigment: Pigment is a highly concentrated loose color powder that contains ingredients to help it adhere to the skin. Try this MAC Pigment to create everything from a subtle wash of color or an intense effect. Smashbox Covers Shot Palette: Your #1 eye look can actually be effortless! Sweep on mid to darker tones to amp up the intensity. In this one palette, you’ll find a mix of matte, low-shimmer and high-shimmer shades, all with maxed out pigments to stay on trend. Urban Decay Moondust Eyeshadow: Moondust is dazzlingly sparkly, but with a super refined, incredibly sophisticated feel (and not a single speck of chunky glitter). 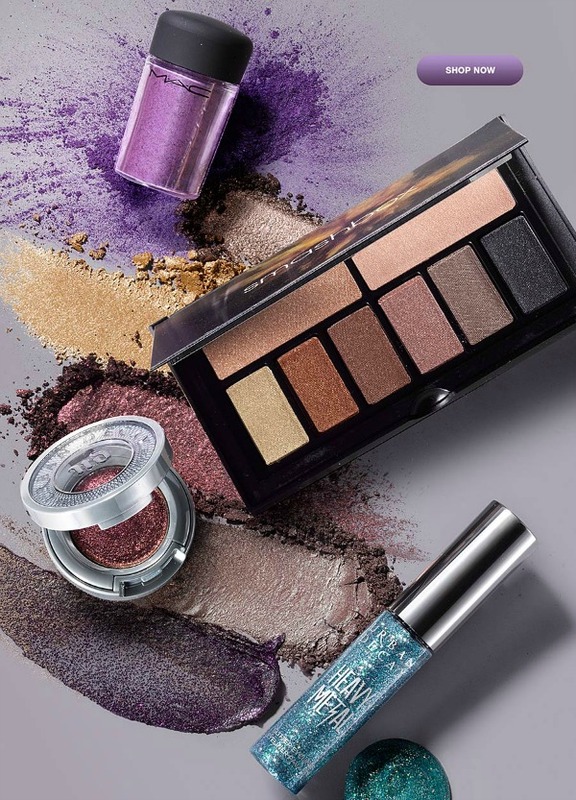 Microfine bits of iridescent sparkle collide with intense, dreamy hues and lush, 3-D metallics – for an effect that’s out of this world. For extra intense color payout, try it wet. Urban Decay Heavy Metal Glitter Eyeliner: Get all the glitz of glam rock, without the spandex or bad hair. Urban Decay’s water-based, buildable liner contains super-fine glitter in a clear base that dries down quickly and REALLY stays put. In addition, peach and cucumber extract condition the skin, while carrot extract smooths and softens. While I’m not saying to wear all these products at once, why not try one of them to amp up some of your favorite makeup? After all, these modern day formulas are a far cry from the blue glitter eye shadow we used to put on in the basement during junior high sleepovers. It’s safe to say, this sparkle is regret-free.